Would you like to berbuka puasa with some of your favourite Malaysian celebrities during this holy month? Lucky for you, these local artistes have decided to take some time out of their busy schedules and have arranged special iftar dinners along with a meet and greet session with their loyal fans. Catch Malaysian alternative rock band Hujan, pop punk band Bunkface and internet sensation Elizabeth Tan, at these following dates and venues. 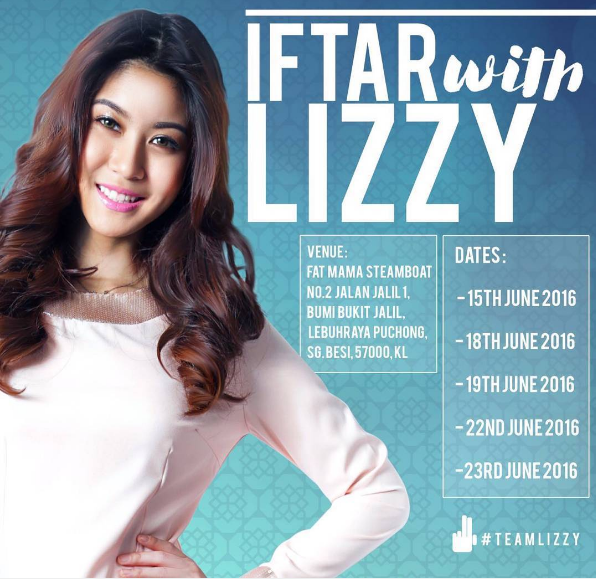 YouTube sensation-turned-singer, Elizabeth Tan will choose 25 lucky Elfians (Elizabeth Tan’s official fanbase name) to iftar with her on five different dates. To become one of the chosen fans, all you need to do is visit @teamlizzy_fc Instagram page and follow the instructions on the page. Though the first five lucky fans have already been chosen, fans can still try out their luck for the other four dates. Pop punk trio Bunkface is inviting all Bunkers (their fans) to have a friendly iftar meal with them this weekend as the band wishes to strengthen their silaturahim (bond) with their loyal fans. 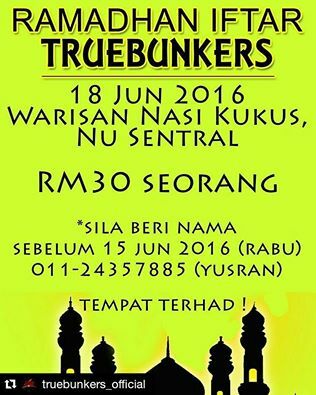 Fans who are interested to buka puasa with Bunkface must contact Yusran at 011-24357885, and provide their names before Wednesday, 15 June 2016, as seats are limited! Also, each fan will have to pay RM30 for the iftar meal. 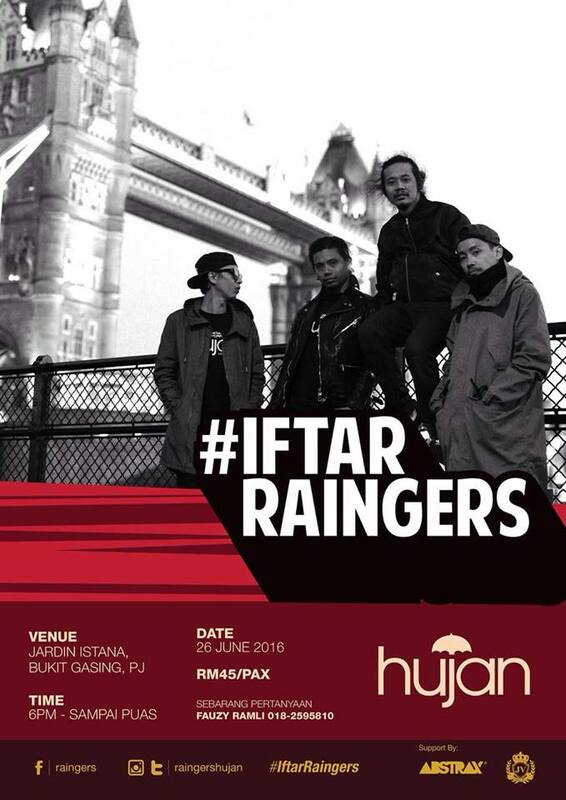 After returning from their London tour, local rock band Hujan is calling out its Raingers (their fans) for a family-friendly buka puasa event on the last weekend of June. The seat limit for this is not mentioned, but fans will have to pay RM45 per head. For further inquiries, please contact Fauzy Ramli at 018-2595810.